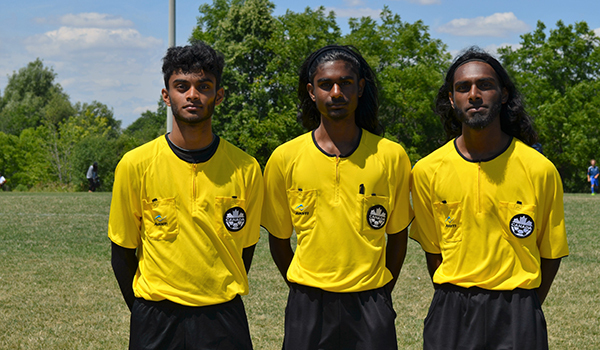 The Scarborough Branch was founded on the 17th April 1972 as the Scarborough and District Minor Soccer Referees Association, with an annual membership fee of $5.00. The branch affiliated with the O.S.R.A on December 9th 1973. In November of 1977 at the A.G.M, the name was changed to the Soccer Referees Association. 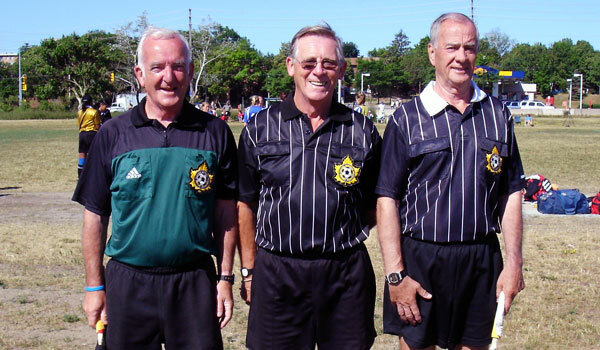 In 1996 at the A.G.M the name was changed to the Scarborough Soccer Referees’ Association, Branch of the Ontario Soccer Referees Association. Three generations of Soccer Referees. What happens in this family stays in this family. Cicero wrote:"Great deeds are not done by strength or speed or physique; they are the products of thought, and character and judgement. And far from diminidhing such qualities actually increases with age". A shining example of this is Strgeon Martin. Before Sturgeon became a soccer referee, he was associated with the Scarborough Maple Leaf Soccer Club. Sturgeon and Henry Helou enjoyed many successful years as Coach and Manager. In 1982 he took and pass the referee's exam. Over the past 31 years, he gained a wealth of knowledge and experience which he shared happily with many younger referees.